2018 season ready to roll out! The University of Memphis Mission has received all the necessary clearances to carry out further work in TT16. We hope to complete the paperwork and preparations to start in early January. This season we plan to continue our work with the human remains – analyzing and x-raying last season’s finds, as well as preparing material for publication. 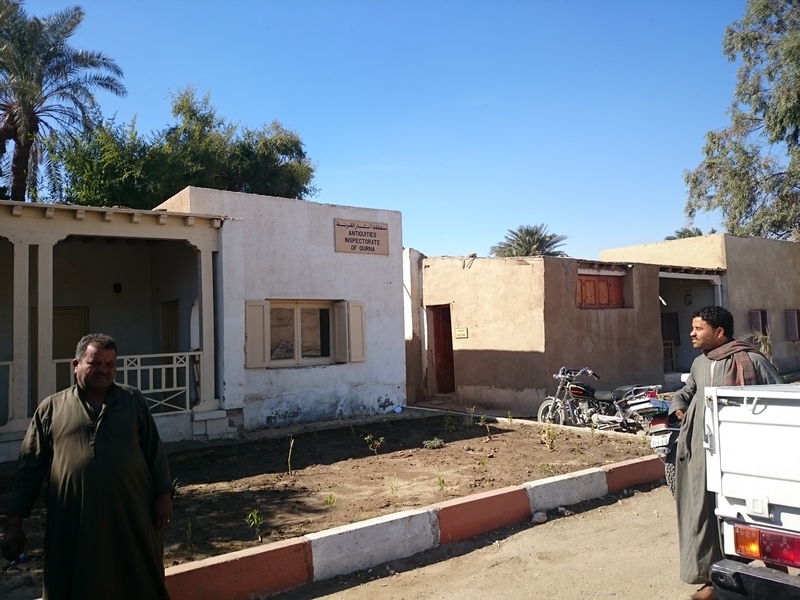 We will also start some new aspects of the project to explore the exterior of the tomb and features associated with the courtyard. No digging this year, but lots of good stuff in the works. Look for some updates in February! Our 2017 season is over and now the analysis begins. 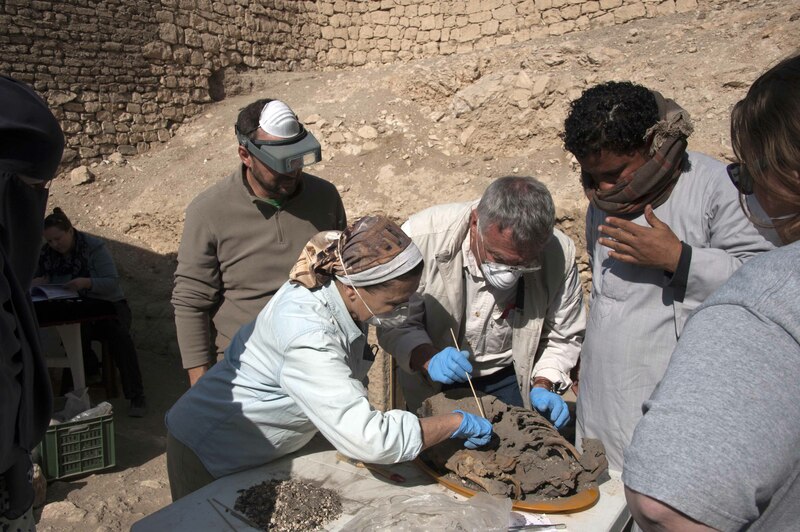 We completed clearing the corridor of the looted secondary burials so once the analysis is complete we will have a demographic profile of who was buried in the tomb. So far, from previous seasons, we have individuals from all age groups. The most common pathology is arthritis, and we have documented several interesting abnormalities including concha bulosa, hydrocephalus, and a possible case of rickets. While we do our data crunching, I will leave you with a few photos from this year. The team works on cleaning a mummified torso for examination. 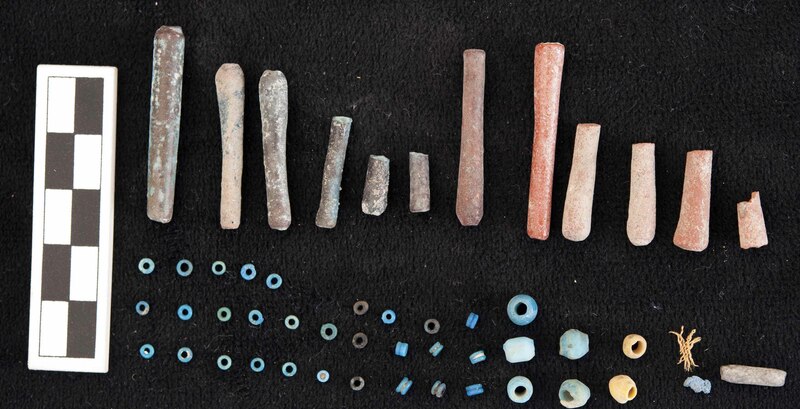 Faience beads are a common find in the tomb. They may have come from a bead net that shrouded a mummy. 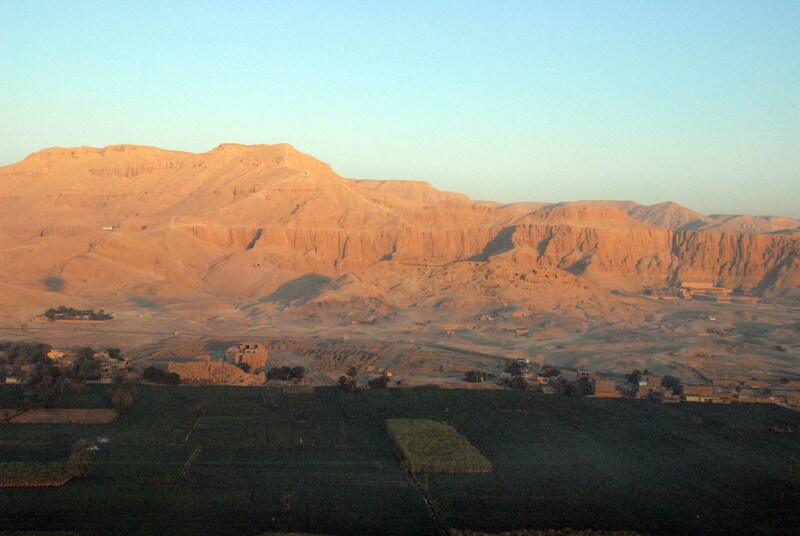 Some of the team members went on a hot-air balloon that took us over the area of the tomb at dawn. 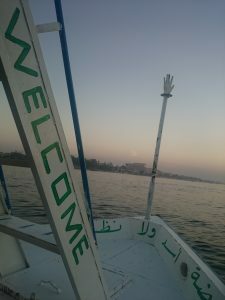 It was quite a lovely experience. 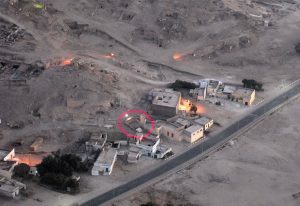 The red circle is where the tomb is. Physical Anthropology: Miguel Sanchez, MD, Jesus Herrerin, PhD, Rosa Dinares, PhD, Amr Shahat (PhD student, UCLA) and Casey Kirkpatrick (PhD student, Western Ontairo University). We have just completed the analysis and x-ray of human remains excavated up to now. Each year we are more impressed with the preservation conditions of these remains; while they are broken and incomplete bodies, there is still a great deal of soft tissue preserved (heart, brain, and lung tissue, for example), and the information that can be gleaned from the broken bodies will help us write a better history of the people of Thebes in the 1st Milennium BCE. 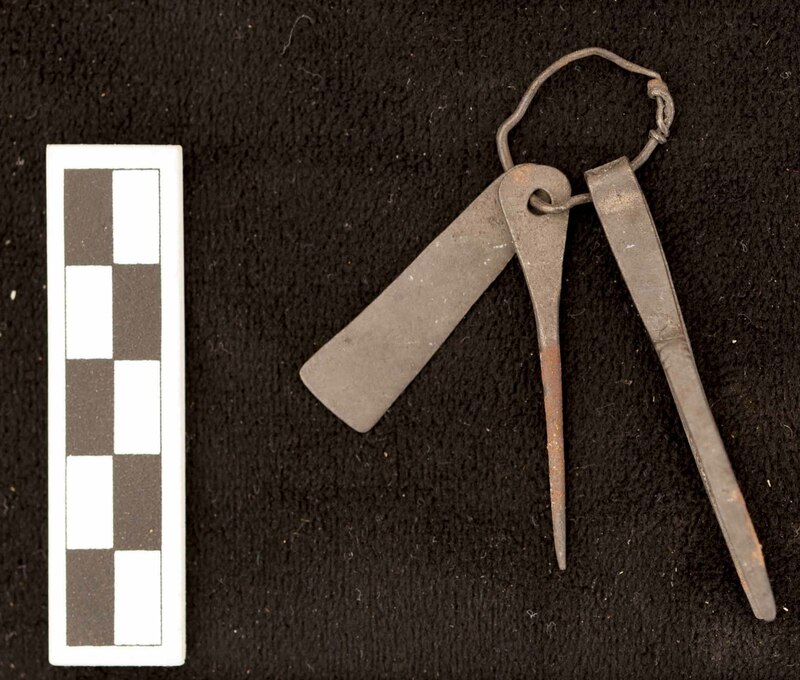 We are preparing articles about some of the more unusual cases examined this year. We will continue with clearance of the tomb next week until about February 15. 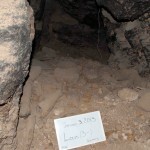 We hope to find the original burial shaft of the 19th dynasty tomb owners, Panehsy and Tarenu, but with archaeology you never know what is just centimeters below the top layer dirt. 2017 field season about to start! The University of Memphis team is getting ready for the 2017 season of fieldwork in TT16 during January and February. Check back in January to see what we’ve been working on. 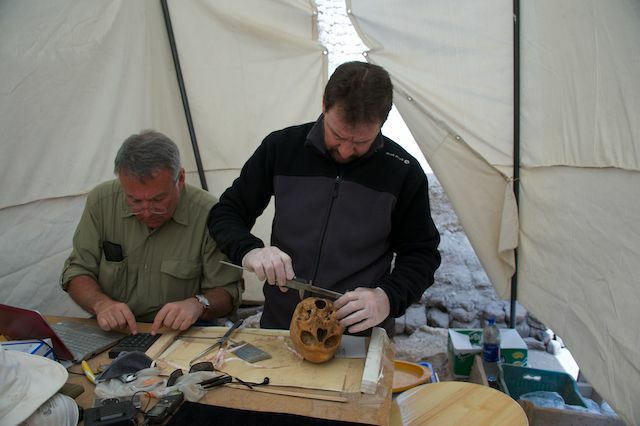 Team specialists Miguel Sanchez and Jesus Herrerin examine one of the many skull discovered in the tomb. There are two separate looting issues in TT16. The most noticeable feature of the tomb’s state of preservation is the damage done by robbers who have hacked out 6 scenes in the tomb. This damage was done before the 1980s. In her book City of the Dead. Thebes in Egypt, (1987) Lise Manniche makes reference to the clearing of the tomb: “The passage behind the transverse hall has been cleared in recent years and a shaft leads deep into the rock to a burial chamber below. 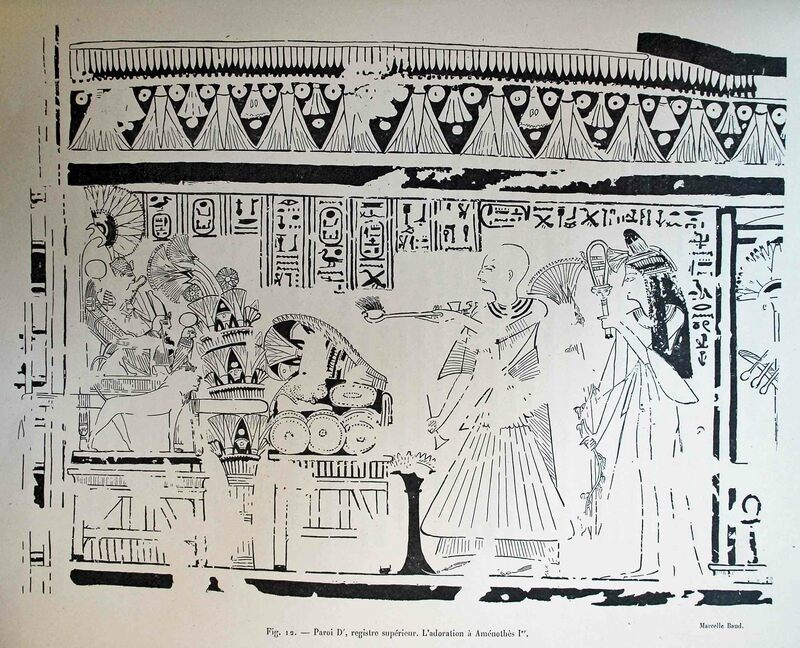 The path is littered with bones and fragments of paintings provisionally stored in baskets.” A photo of the scene next to the tree goddess in room 1 (on p. 75) shows that damage had been done before the date of publication. 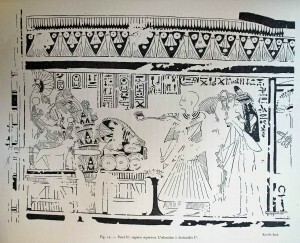 A color photo published in a different book in 1965 (Egyptian painting and the Ancient East by Robert Boulanger) shows the same image of the seated couple behind the tree goddess in the first room intact. Since the exact date these photos were taken is unknown, and the exact date of the conservation is unknown, we can only narrow down the time frame to about 20 years, between the mid-1960s and the mid -1980s. This gives us our 20 year estimate for the time frame in which the robbing occurred. The exact date of the clearing and conservation is unknown, but an initial inquiry at the west bank taftish indicated the work was done by the Egyptian government in the 1950s or early 1960s. Several areas of old plaster fall were filled in with a modern mud and straw mixture, typical of conservation from the mid-20th century. These areas of older damage are recorded in Baud and Droiton’s epigraphic volume on the first room (MIFAO 57.2; 1932), and are visible in the 1960s Chicago House photos. The theft of the scenes occurred after the government restoration as the cut marks of the looters sometimes extend into the conserved areas. Also, if the damage had been there when government work occurred those areas surely would have been restored with the rest of the tomb. Chicago House photos taken in 1956/1957 show some of the tomb intact before the SCA conservation and clearing. Center of Documentation photos date to 1999 and show the damage already done (as expected since Manniche’s 1987 publication shows it already damaged). In 2007, one of the former inhabitants of the home on the hill above the tomb stopped by one day and told me that the tomb had been standing open without any door as recently as 15 years ago. This fits with what others have told me about the installation of doors on the tombs in the 1980s. 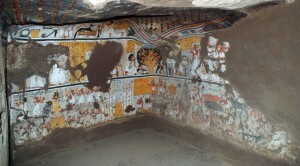 Theft of the scenes could have easily happened any time before that as the tomb sits very close to the main road and would have been easily accessible. It is also situated between two alabaster factories at the base of a hill, so anyone entering the tomb could do so without being too visible. 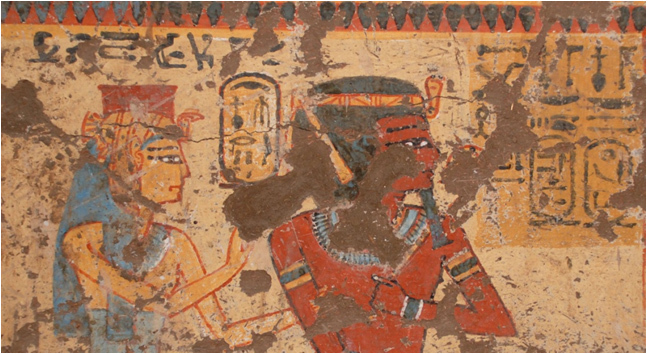 These two images demonstrate the level of damage present in the tomb. The looter damage in the center of the color photo is adjacent to an area of earlier restoration style. 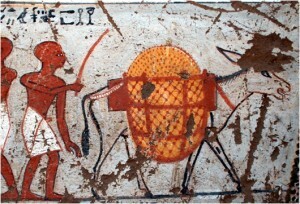 The looters probably intentionally avoided taking the image of Amunhotep I on his carrying chair since it was reasonably well known. With careful preparation, the looters could have easily carved off the names and titles of the individuals in the scene, rendering them annonymous Ramesside people. Throughout the tomb, the looters focused on taking the heads and upper torsos of the figures, and in some places deliberately avoided text or any unusual scenes that could identify which tomb they came from. The University of Memphis Mission to TT16 is preparing to get back into action after a State Department travel warning spoiled out ability to work last winter. The Travel warning was lifted months ago, and things in Egypt are calmer than they have been in a while, so we are going ahead with an application to the new Ministry of State for Antiquities to continue our work in TT16. Work this winter will include some conservation assessments, further cleaning of the fill in the tunnel, and analysis of the human remains. It is a small working area so we really only have a few people digging at one time, but we have completed clearing nearly 50% of the tunnel. Looking in from our last locus we can see many more broken human remains, mummy wrappings, and artifacts. 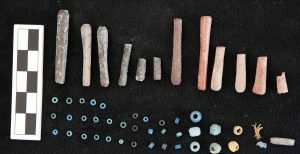 Since all the material we have excavated so far was looted in modern times (perhaps early to mid 20th century) we expect the rest of the tomb to be the same. This photo is typical of what the floor surface of the tunnel looks like. 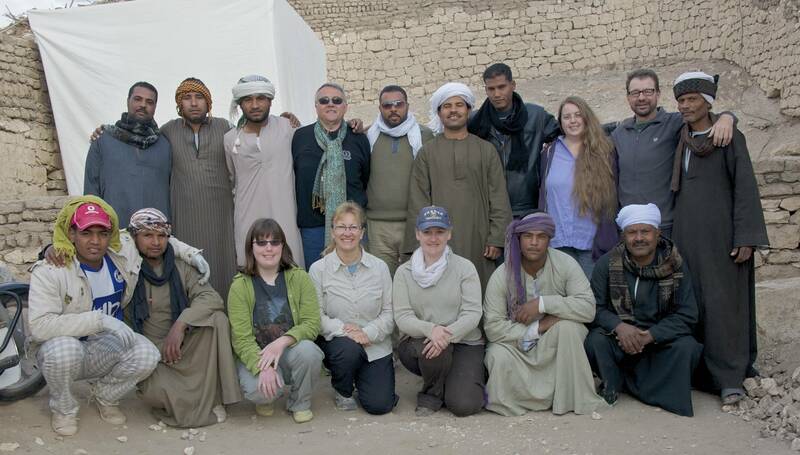 This blog will follow the work of the University of Memphis mission to Theban Tomb 16 in the Dra abu el-Naga section of the Theban necropolis. This tomb was built for individuals named Panehsy and his wife Tarenu who lived in Thebes during the reign of Ramesses II of the Egyptian 19th dynasty (ca. 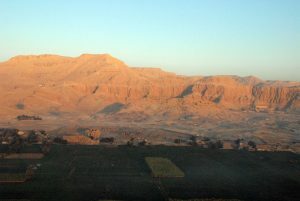 1250 BCE). The tomb has two lovely painted plaster rooms and a long tunnel leading to what we hope will turn out to be the burial shaft of the original owners. They were not the only ones to use the tomb, however, and we are currently focusing effort on clearing the massive amount of secondary burials left in the tunnel. These interments were, unfortunately, looted in the 20th century. Modern artifacts including cement bags, nails, and other ephemera found mixed in with the broken bodies and mummy wrappings give us clues as to when this happened. 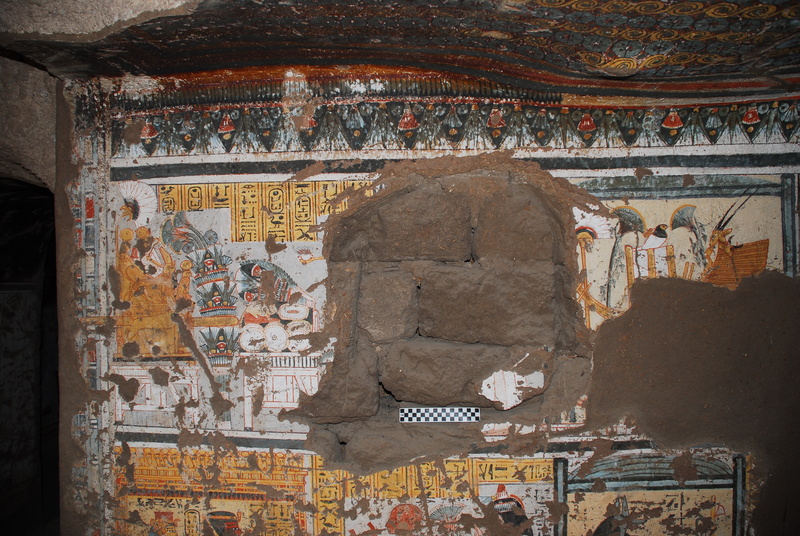 Other looting in the tomb includes painted plaster wall scenes that were sawed out and removed from the tomb between the early 1960s and the 1980s. Photos from a couple of sources show the undamaged walls in the early 1960s but damaged by the 1980s. It is unknown if the looting of the wall scenes and the looting of the secondary burials was accomplished at the same time. I will deal with the looting issues in more detail in a separate post. part of grain harvest vignette in first room. There are many fascinating aspects of the decoration of the tomb, including two representations of a temple facade, a braying donkey, two scenes of the tree goddess, two scenes of Hathor of the mountain (a funerary aspect of the goddess Hathor), and depictions of the deified Amunhotep I and Ahmose-Nefertari. Pahesy was a priest in the cult of Amunhotep I who was during the Ramesside era considered a powerful oracular figure. Villagers would approach the statue when it went on a procession through the community and ask it questions. It was Panhesy’s job to carry the statue and perhaps even interpret the god’s response. 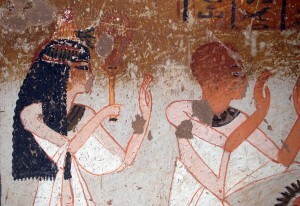 Panehsy was also a chanter in an Amun temple. The most likely location for his service to Amun is Karnak temple, and at least one of the temple facades probably represents the Ramesside pylon at Karnak. Tarenu was also a chantress in the cult of Amun. Ahmose-Nefertari and Amunhotep I receiving offerings from the deceased. Paula Veiga on 2017 field season about to start!